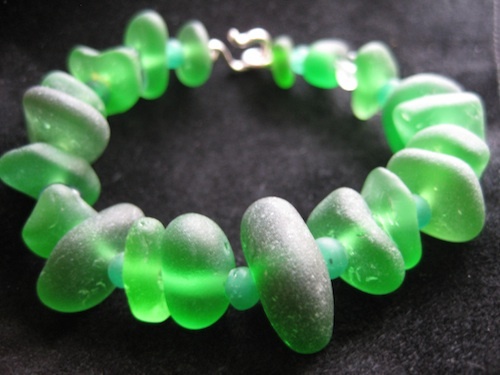 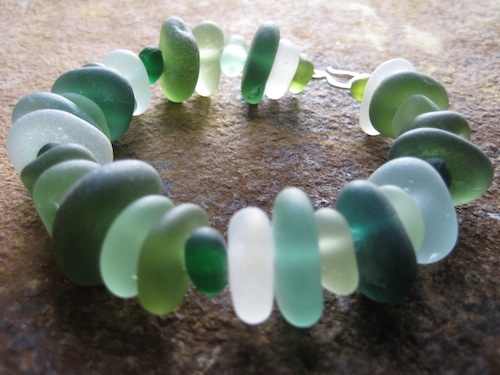 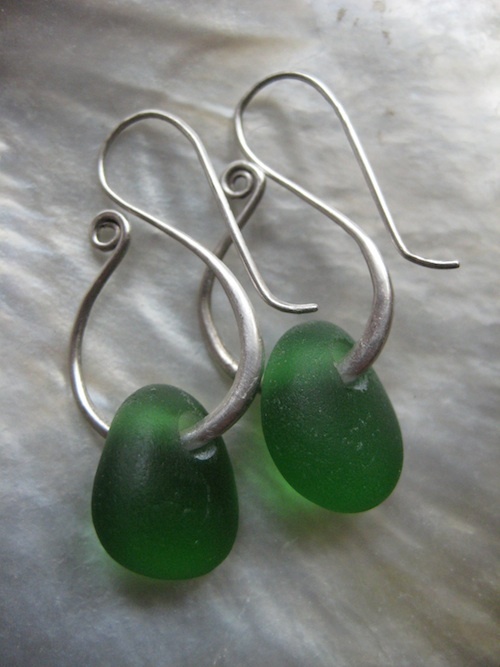 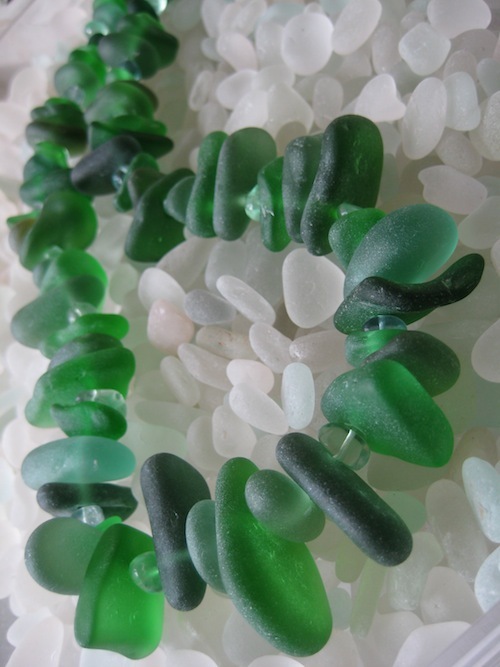 Hand drilled pieces of sea-glass in deep bright greens. 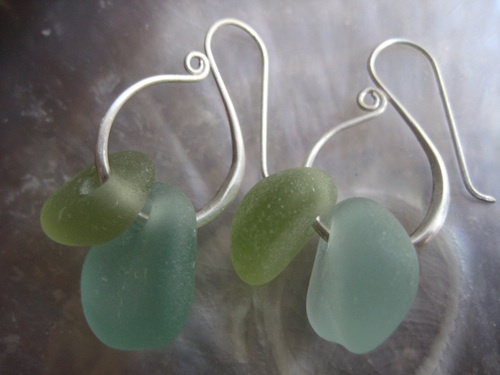 Hand forged and filed, swanhoop silver or 18ct gold fittings with single, double or triple drops of sea-glass. 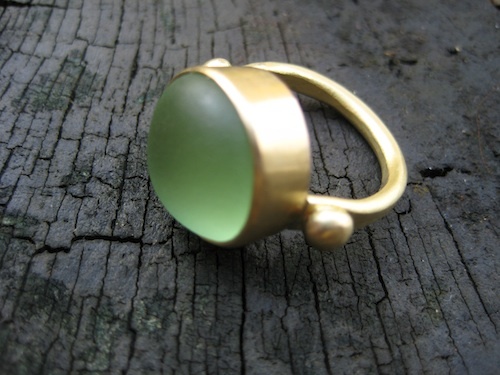 Hand forged in silver or 18ct gold. 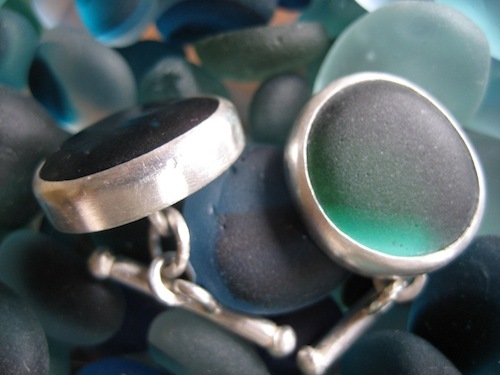 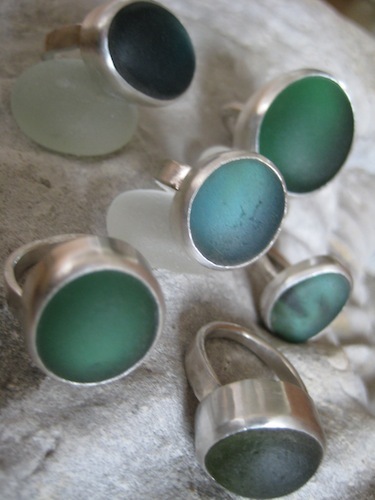 Frosted sea glass bezel set in hand forged silver rings. 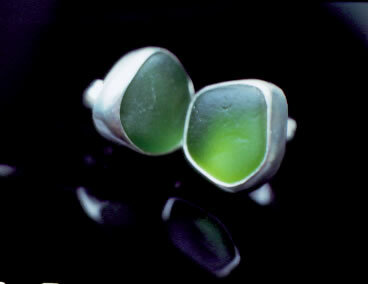 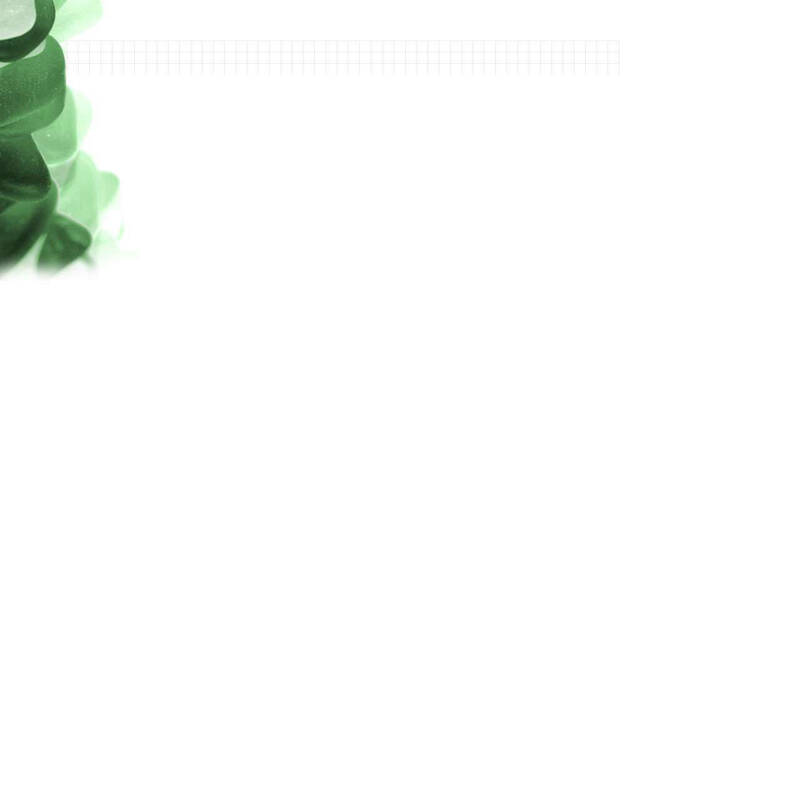 Can also be made in 18ct gold.